The caravan just swept past a large contingent of Mexican federal police, who didn’t do anything to stop them. 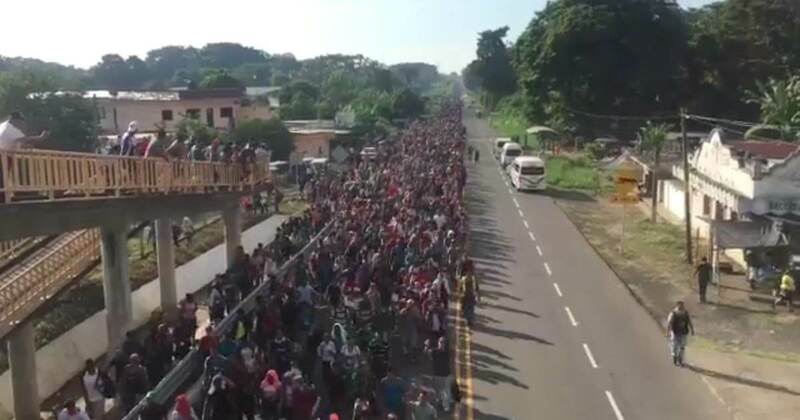 Reports from the caravan state that on two occasions Mexican federal police stood in formation to meet the caravan as the migrants staged a massive march up a highway. As the migrants approached both times the Mexican police stood down and let them pass. A Mexican official was reported to have said they can’t stop 7,200 people.